This entry was posted in 365 Day Photography Challenge and tagged 365 Photo Challenge, books, dandelion, reading, sigh, spring, yellow by Cyndi the BookChick. Bookmark the permalink. I am happy that I could bring it to you! I like pretty much anything by Vachel Lindsay! And now that I have had such a reading marathon, I have had a hard time getting myself to read the next three books I have started! Actually, with as sick as I have been, all I have been doing is sleeping – the books can wait! They are! Even the seeds are lovely! It is only when they get to that awful long stalky stage that I can’t stand them. Until then, it feels like a murder almost, when my husband puts the weed killer on them! Yep, a classic example of just what I was saying about weeds/wildflowers. Dandelions, after all, not only provide salad greens and wine ingredients for those who will use them, but wish-making silk parachutes for children of every age. And in between all of those gifts, the beauty of the plant from sprout to seed-blow. God has made an abundant use for all of His creation hasn’t He? And now that I have said that, it occurs to me that I have yet to find a use for the mosquito? You know what? I have never tried dandelion wine! Does it actually have a decent flavor? 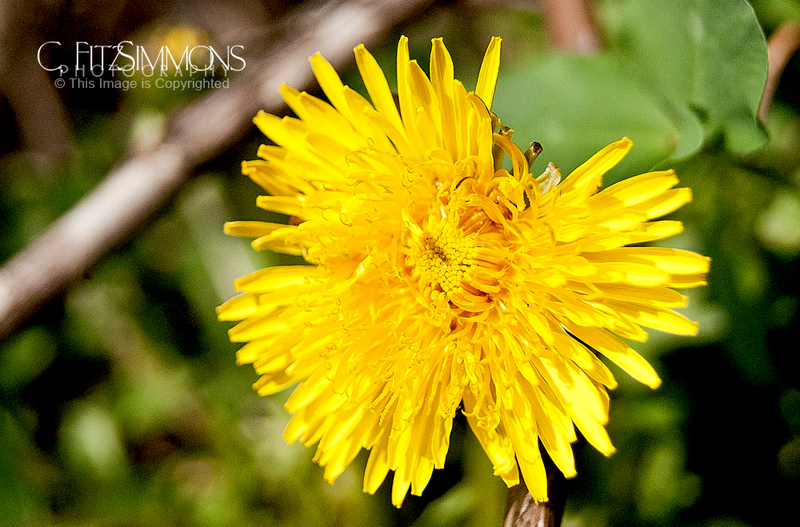 I love dandelions, they are little bits of sunshine in the grass. I know I am happy to see them in the Spring! They are one of those promises that warm weather is here!